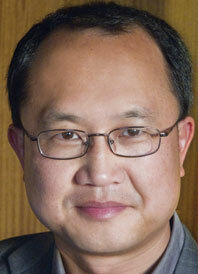 Yunte Huang is a Guggenheim Fellow and a professor of English at the University of California, Santa Barbara. He is the author of Transpacific Imaginations and Charlie Chan, which won the 2011 Edgar Award and was a finalist for the 2010 National Book Critics Circle Award in Biography. Having come of age in China as a student in the time of Tiananmen, Huang now lives in Santa Barbara, California. With wry humor, Shakespearean profundity, and trenchant insight, Yunte Huang brings to life the story of America’s most famous nineteenth-century Siamese twins.